He told to stop fuking around with other asian girls instead find Khmer to fuk, because the Khmer feel bless when they got fuk by me, VPA the master of indochina. So what do you Khmer girls think? Im not just smart but also have 17cm ccock will make you girls feel like never before. Well what I really wanted is for you to make viet khmer hybrids. Kinhnamese/Goody/poorricefarmer/VietKhmerChinese is still delusional rotfl! 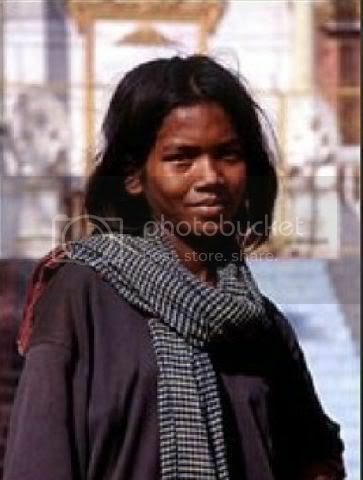 Look at this Khmer biitch. Probably mixed with Viet. If you Khmer biitches here wish to have daughters with beauty like the girl above. It is best bet spread your legs wide and enjoy, stop the fuking complaint, let us VPA=Master of Indochina enjoy fuking too. Pls go to my website (http://thunderwall.net) and click on the advertisement on the right. I'll give u 25 kudos.